My eats, hobbies and all things fun! 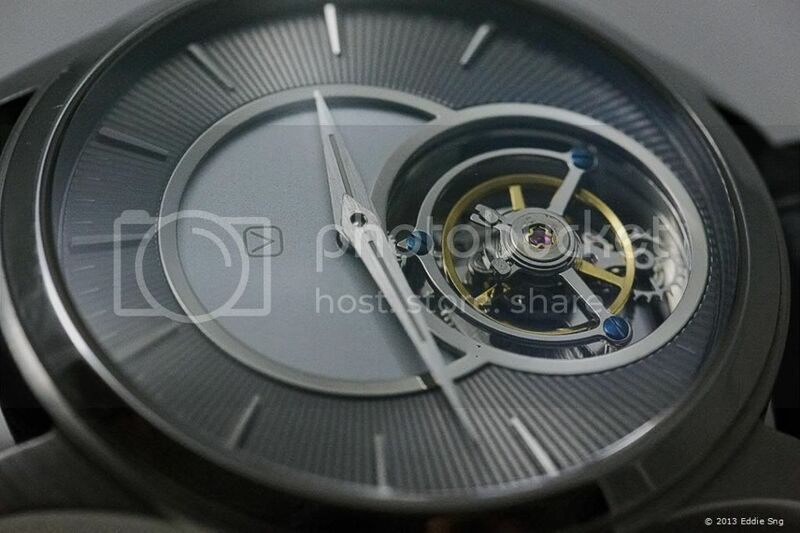 I featured Reedsco before in one of my blogs as one of the few Singapore watchmakers. Today I am featuring another Singapore watchmaker Sean Wai of Movas Watch. Sean is an architect by profession and on top of designing and assembling watches, he also designs and makes bicycle frames. Sean is more well known for his sports range of watches like the divers range. A self taught watchmaker, Sean sources his movements from China and he is not afraid to advertise as is. 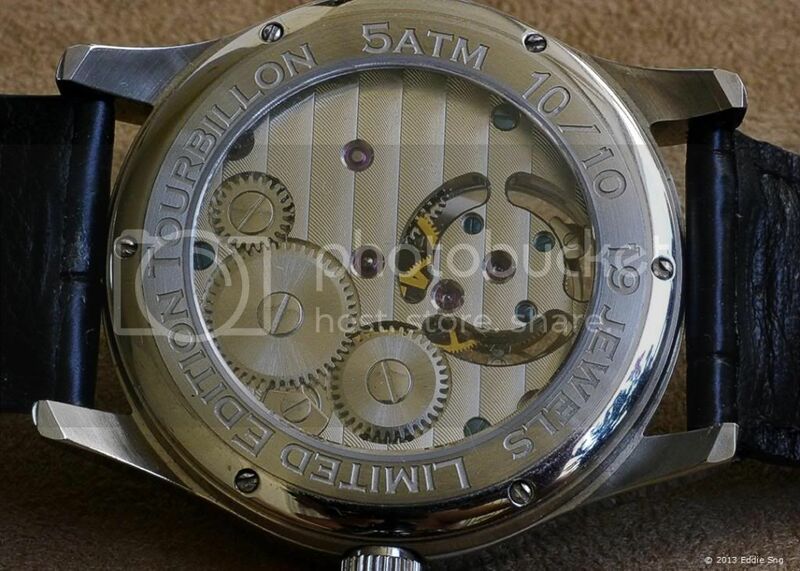 Today, I feature his first Limited Edition Tourbillon. 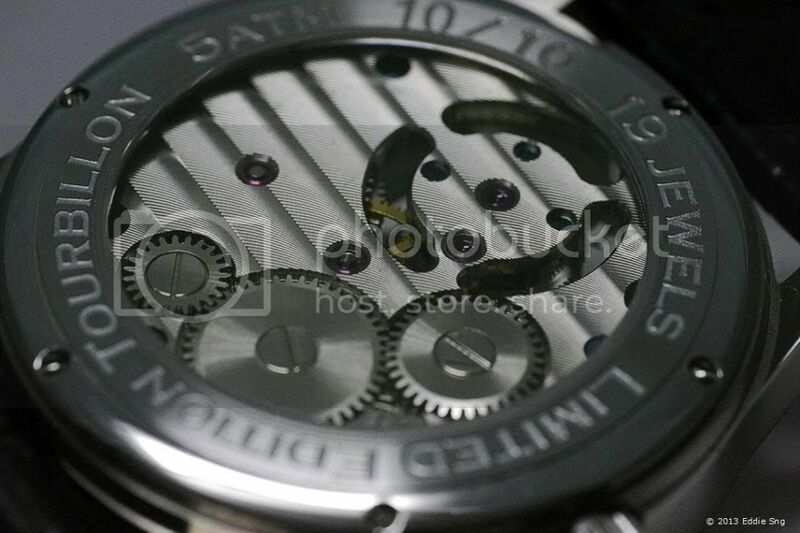 Sean designed the watch with different dial patterns but settled for this sunburst grey colored dial with silver hands. And if you see one with blued hands, that belongs to Jim. Sean made 10 of these Limited Edition pieces and it was sold out in a jiffy! Mine is ten of ten. 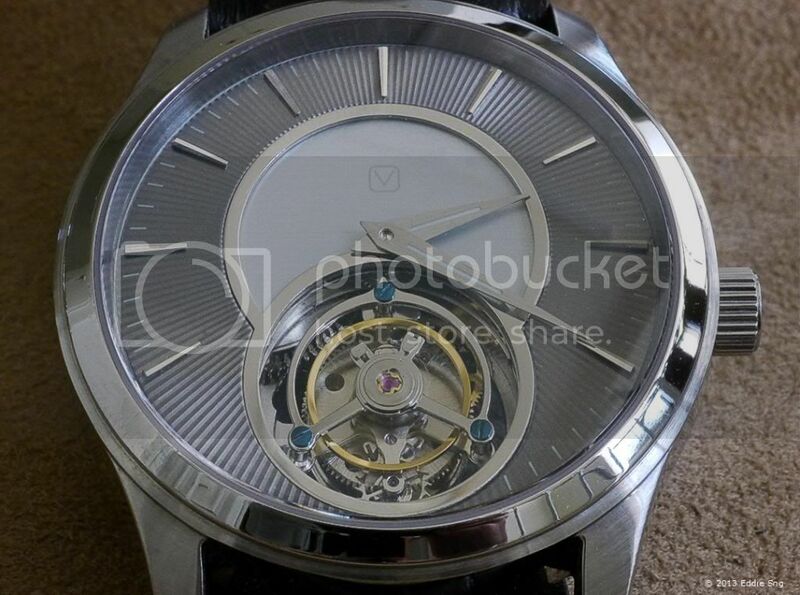 Housed in a steel case, the movement is a Chinese Made Tourbillon. On close inspection of the movement, one can see that the bridges are not as well finished. I wish they were better finished - maybe not to Swiss standards but at least smoothened around the edges. But at that price point, I cannot complain. Overall, the watch is a well-made watch - good value for money. 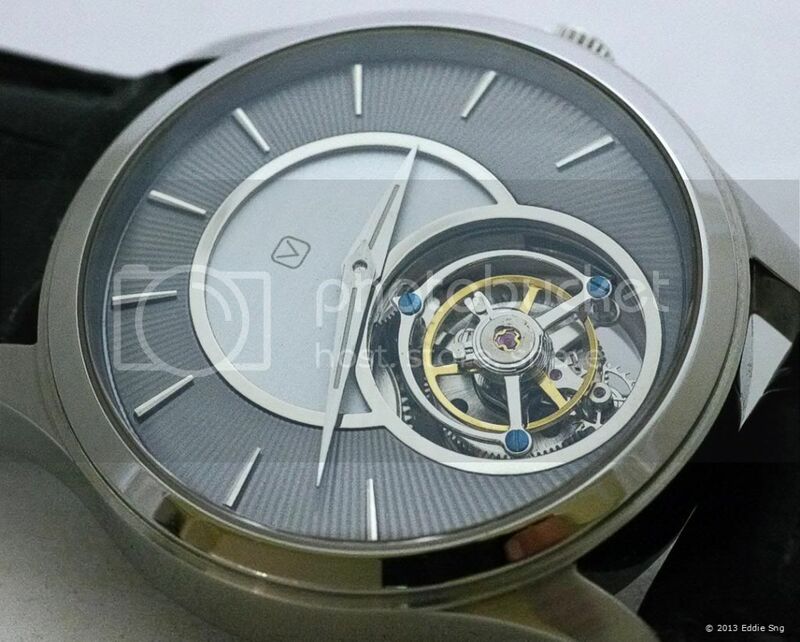 There are several Chinese Tourbillons in the market but I find this one way above what is available on the market today. 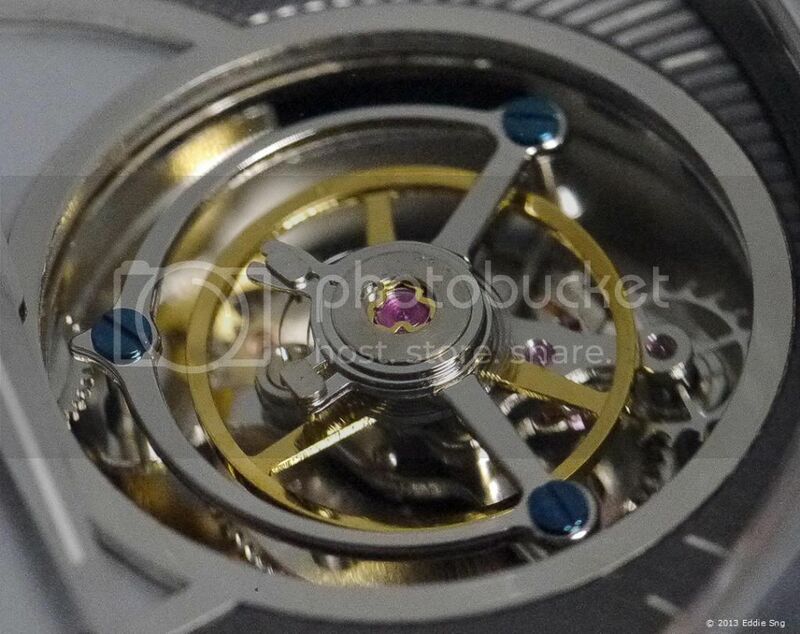 A close up of the tourbillon movement… I wish my lighting was better to show off the tourbillon movement. Orange & Durians - What a Sight!